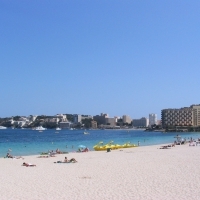 Palma Nova (or Palmanova) is one of the original tourism resorts in Mallorca built in the 1960's. 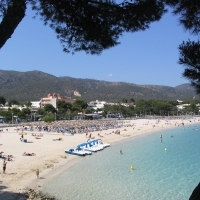 The resort is built around three beaches and at the Southern end Palma Nova borders with the more lively neighboring resort of Magaluf. 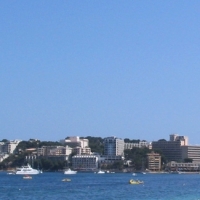 These resorts have grown over time so that it is no longer possible to tell exactly where one resort ends and the other begins. 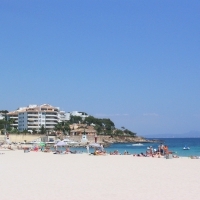 Today Palmanova is popular among younger party people at the Magaluf end as well as more mature adults who enjoy the comforts of a large and well established resort. 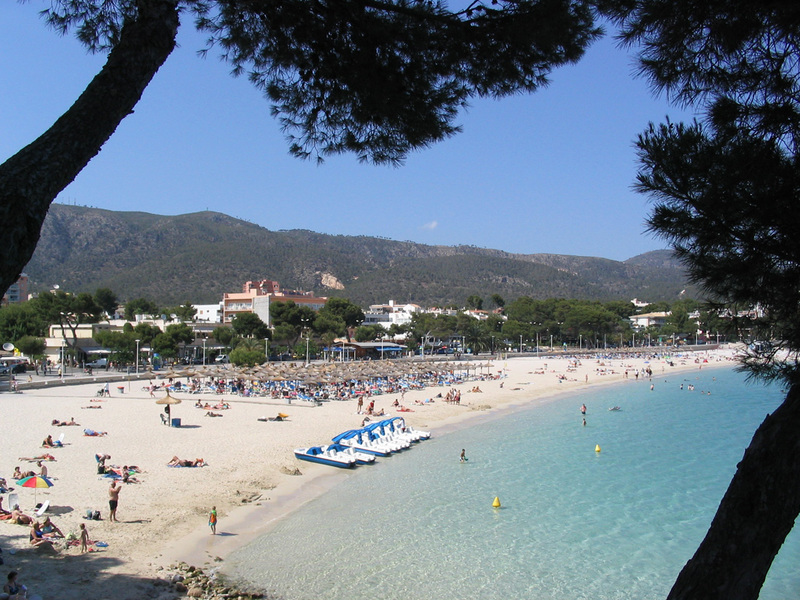 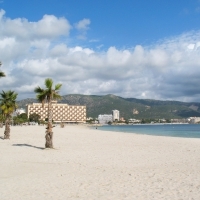 Palma Nova has three large beaches - Playa de Son Maties, Playa de Palma Nova and Playa des Carregador. 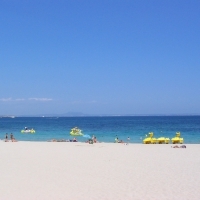 Playa des Carregador is the quieter of the three beaches and lies in the Northern end of the resort. 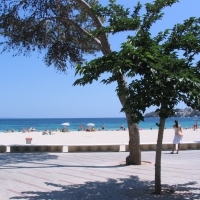 Playa de Palma Nova is in the middle and Son Maties at the Southern end next to Magaluf. 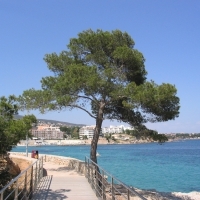 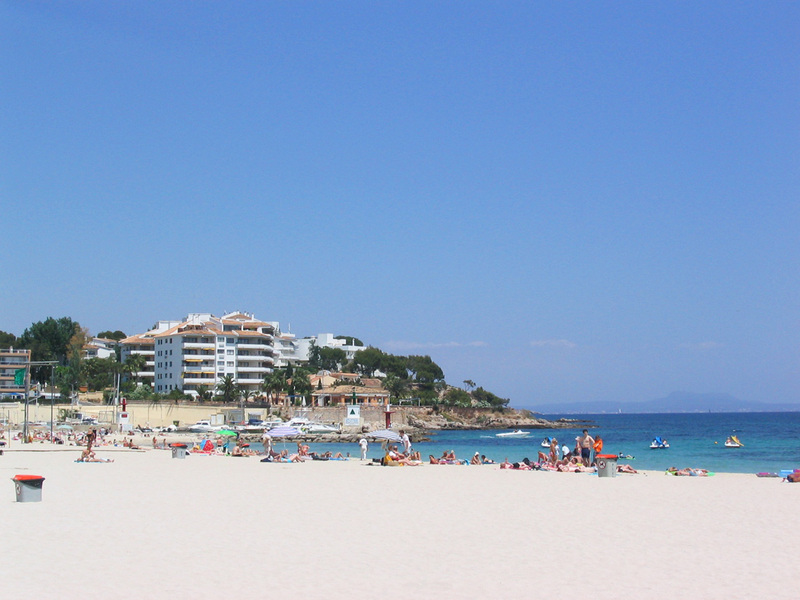 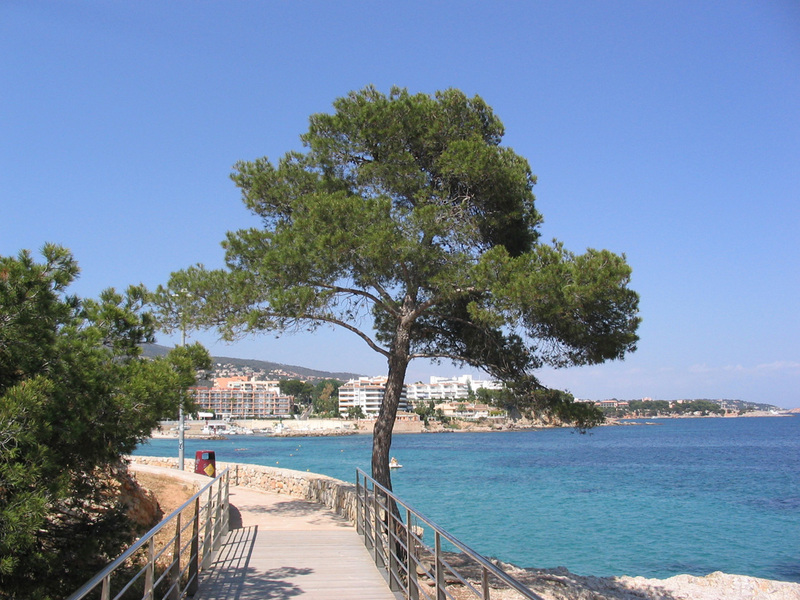 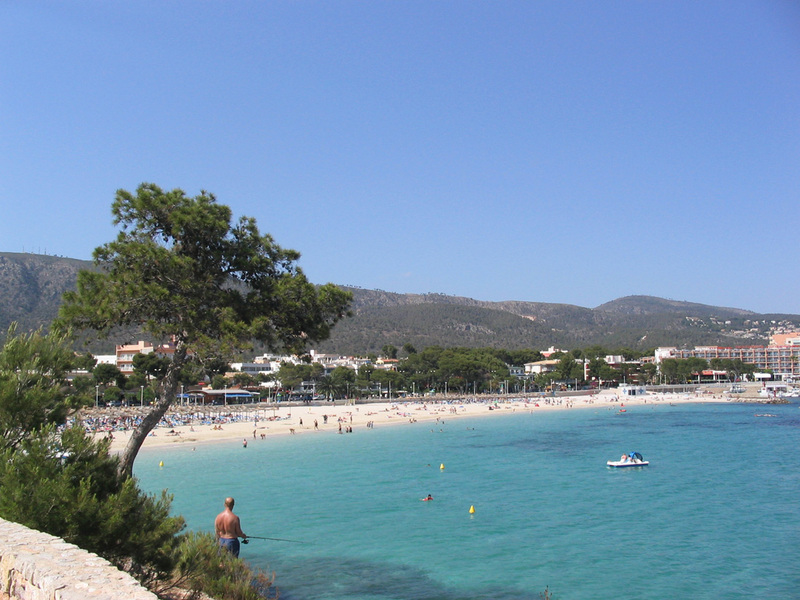 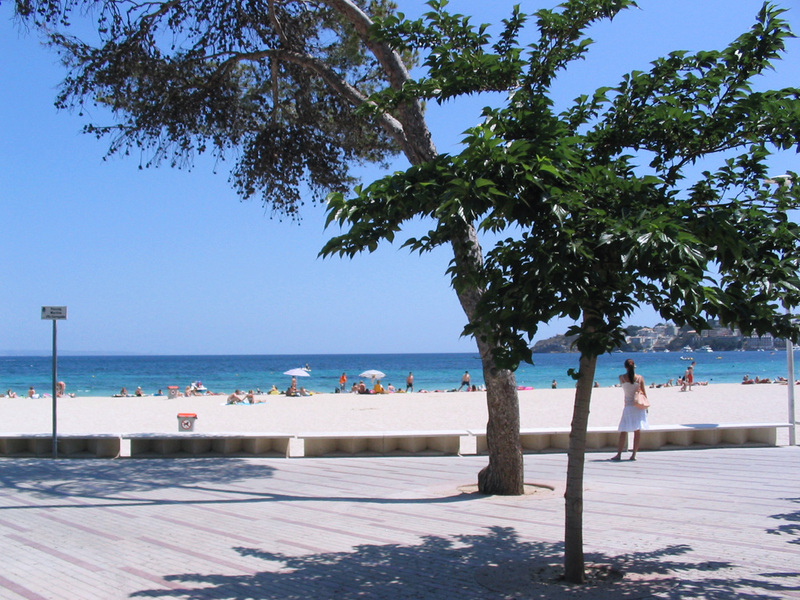 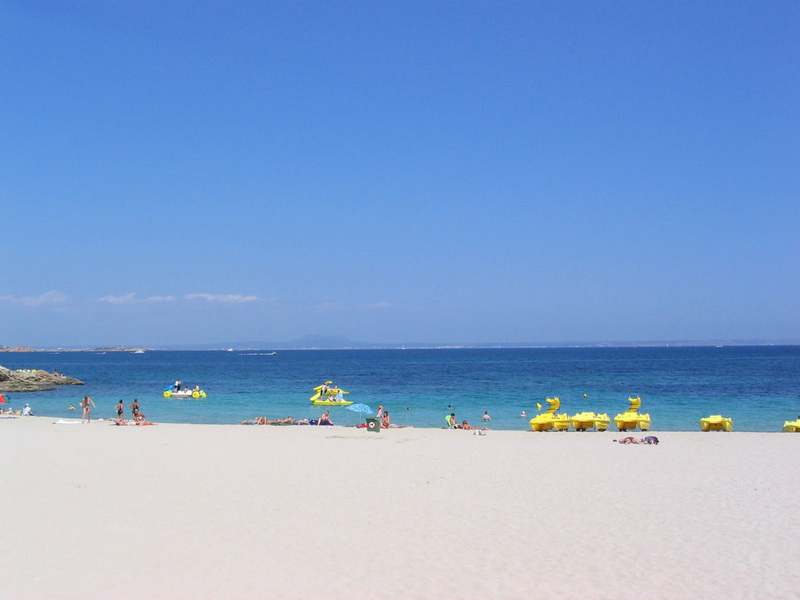 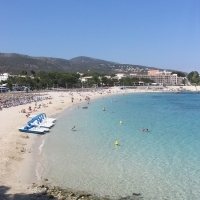 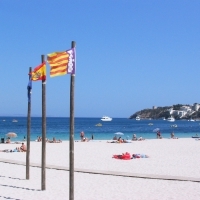 The beach in Magaluf is also just a short walk from Palmanova. 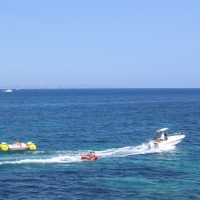 Water sports: Swimming, windsurfing, kitesurfing, pedal boats, banana and doughnut rides. 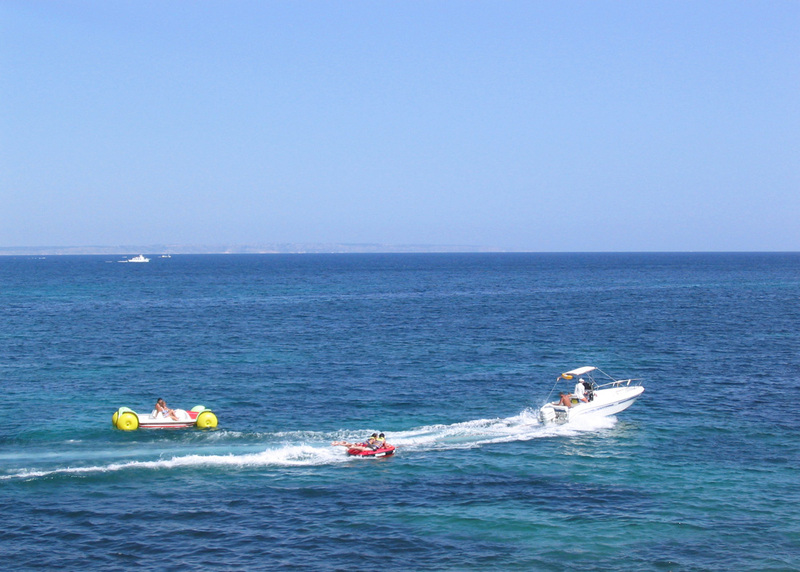 Water fun parks There are two water fun parks in Magaluf about 3 km from central Palma Nova: Aqualand & Western Waterpark. 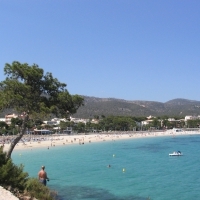 Sports: Tennis, Bendinat Golf 6km away, Poniente Golf 5km away and Santa Ponsa Golf I & II both about 8km away, Andratx Golf 14km away next to Camp de Mar resort, bicycling and walking. 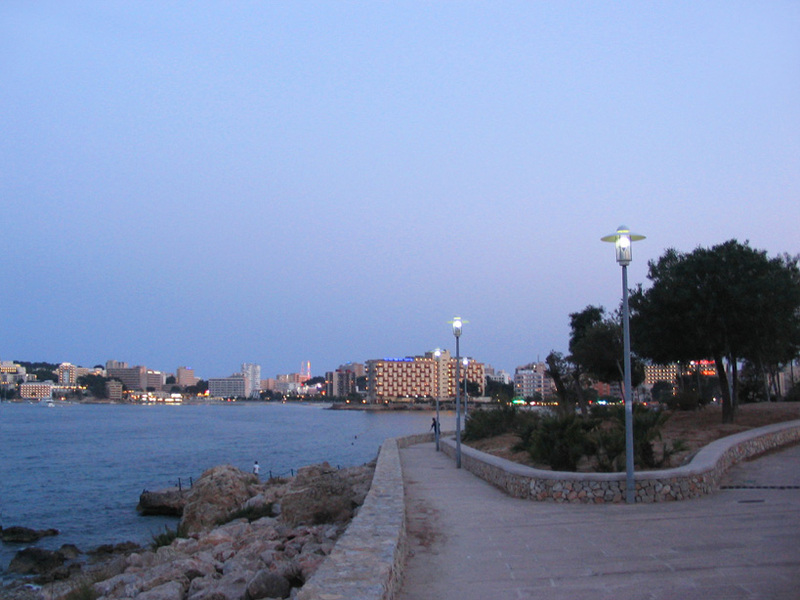 Palma Nova is very popular among British tourists and this has led to many restaurants offering food to suit their taste like hamburgers and dishes with french fries, but if you prefer other types of food there are also restaurants offering various international cuisines like Indian, Chinese and of course Mallorcan food. 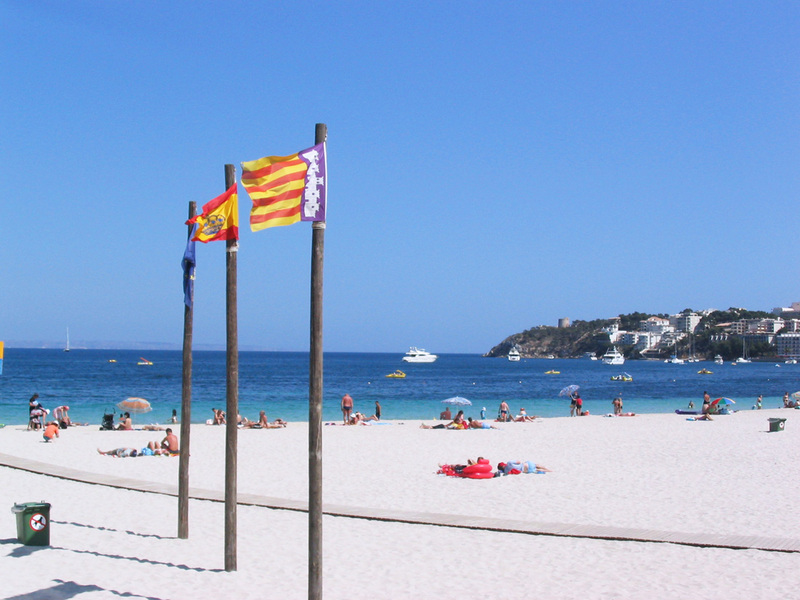 There is an excelent Chinese restaurant called Gran Dragon at the Playa des Carregador end of the resort. 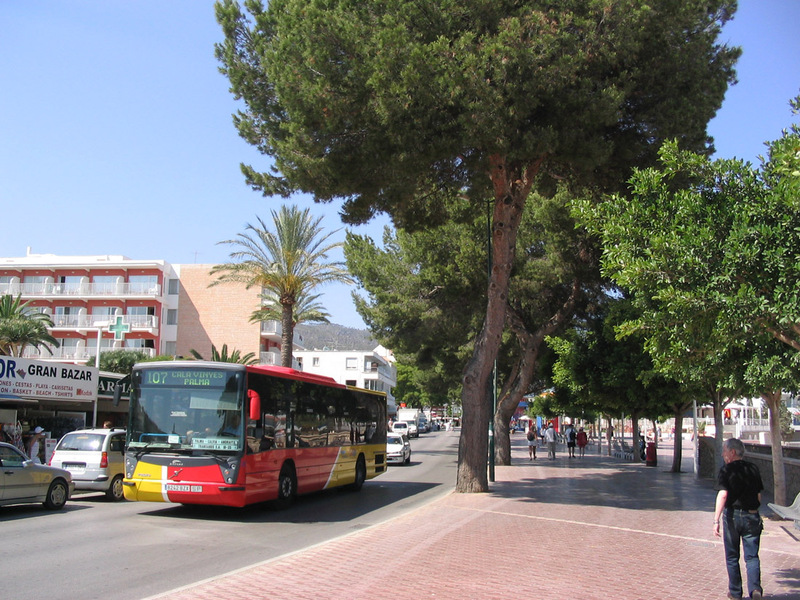 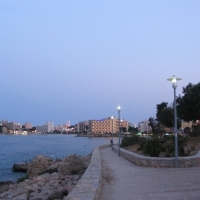 Palma Nova is right next to Magaluf, which could be considered the party center of Mallorca, so there is no shortage of nightclubs, discos and bars. 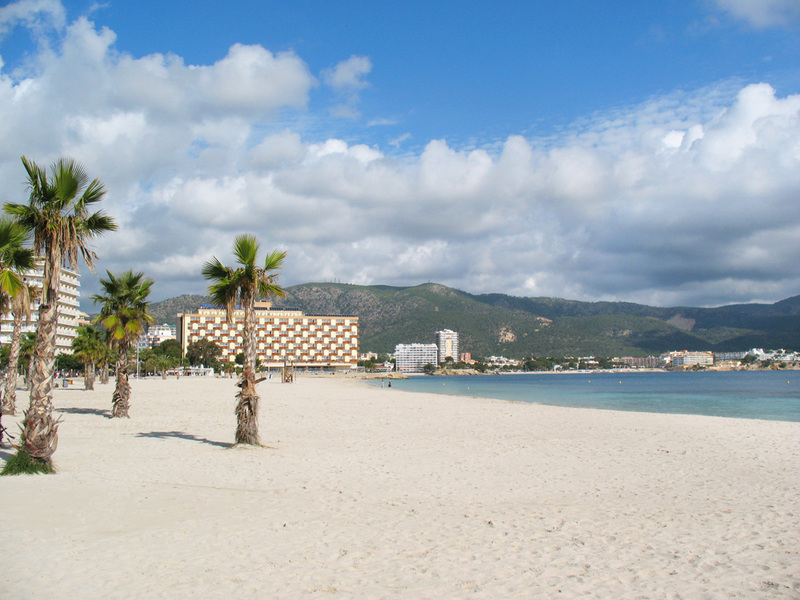 Some of the largest and most well known iclude BCM, Bananas and Boomerangs. 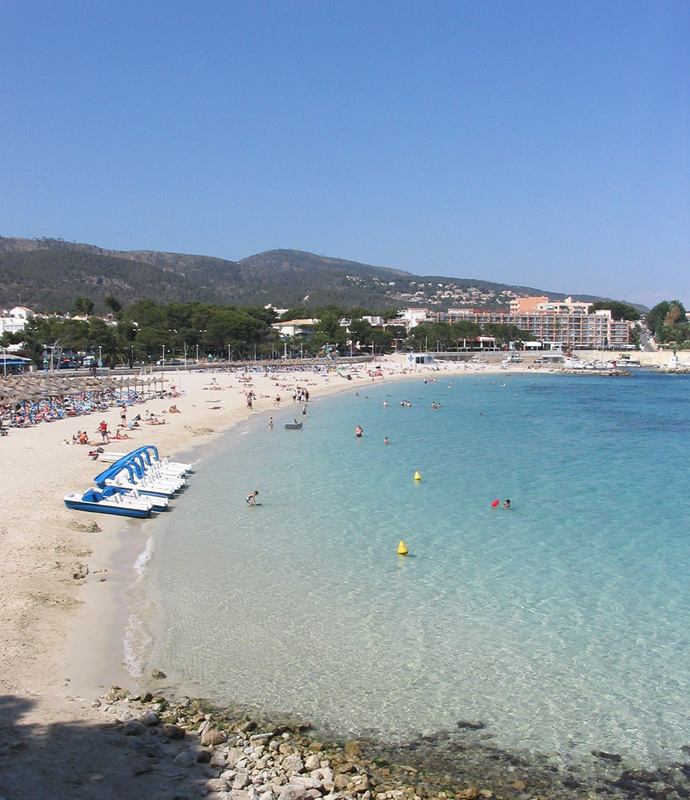 If you plan on partying a lot you might like the Magaluf Club Pass. 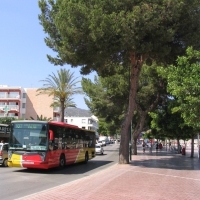 These distances are measured along roads for driving with driving time estimates. 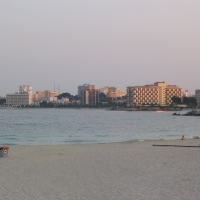 Hotels in Palma Nova are lined along the three large beaches and many are right next to the beach. 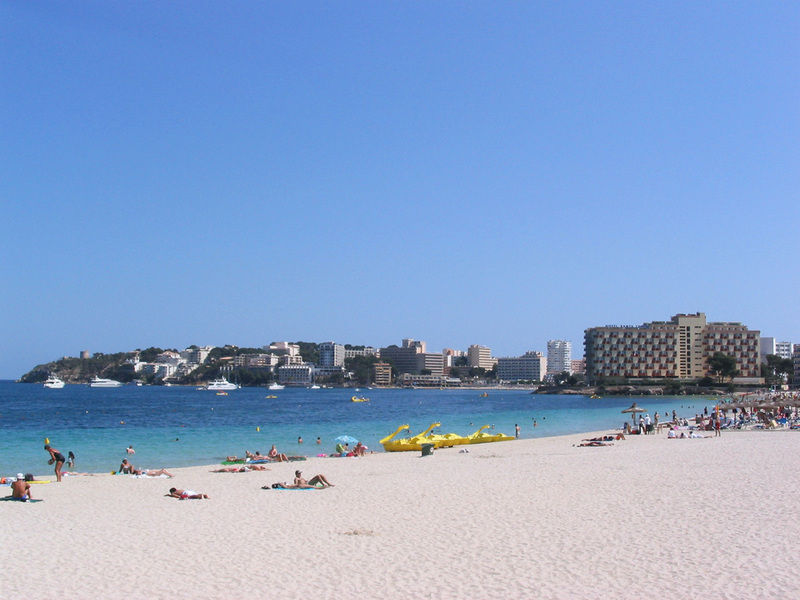 Majority of hotels here were built at the start of mass tourism in the 1960's and thus there are lots of quite tall hotels which provide great views towards the sea for inhabitants. 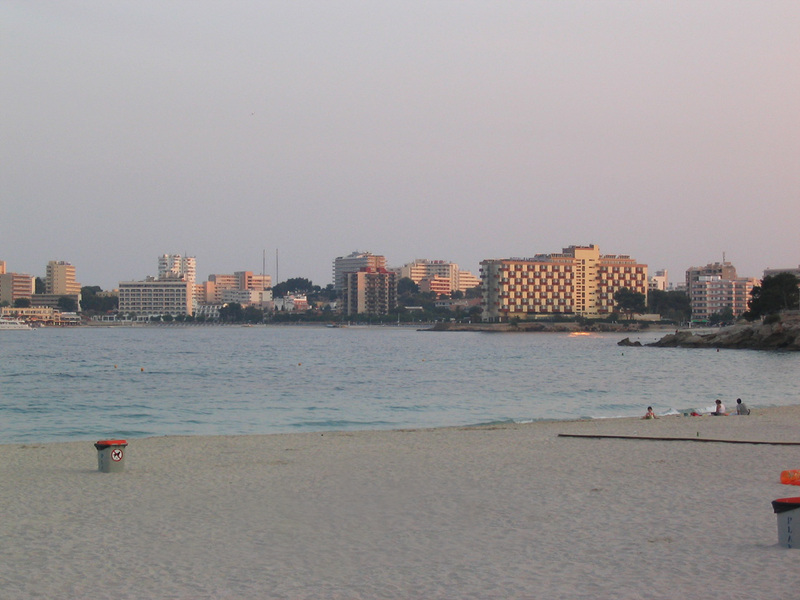 When you're outside looking at these hotels, they aren't much to look at, but they are a defining feature of Palma Nova that can bring back happy memories to returning visitors.